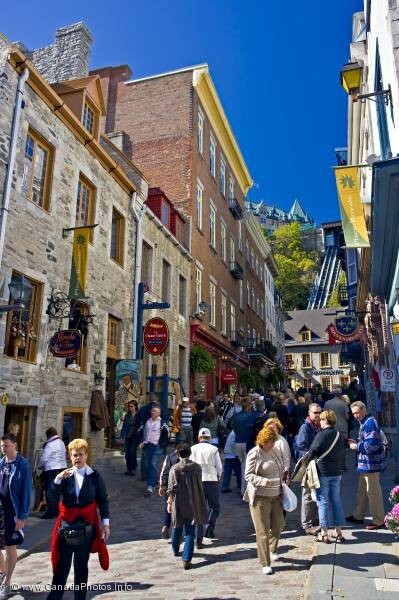 Old Quebec City is a famous tourist and cruise ship destination, visitors using the opportunity to stroll through the old historic part of Quebec City. Tourists walking along Rue Sous le Fort towards the Funicular in Old Quebec, Quebec City, Quebec, Canada. UNESCO World Heritage Site.